experience, almost as a piece of music of which you hear the progression. "Rockne Krebs principally sculpts with light, though he has worked in a variety of media. His objective is to define space and mark time. Though some hardware is always necessary to his sculpture, the work itself consists only of light. The light generally takes two forms, one natural, the other technological. Working with the existing landscape, he transforms it, playing the variability of light conditions against a formally rigorous system of mirrors and laser lights. 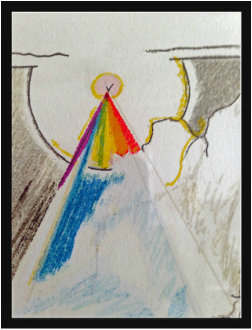 This creates structures which appear solid and stable, but are actually immaterial and subject to atmospheric conditions." Reid, James Earl. Sculpture Today/Traditonal and Non-Traditional, exhibition catalogue, 1980. The Art Gallery, University of Maryland, College Park, MD. 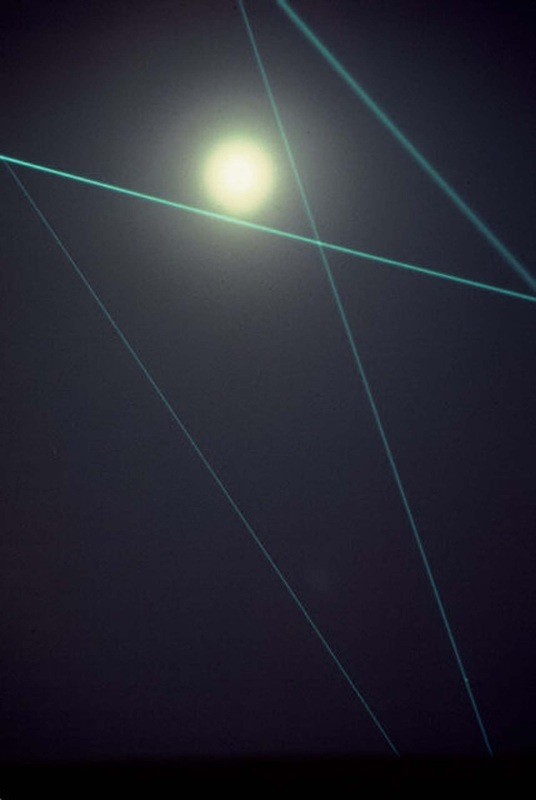 "In the 1960’s lasers became available to the artist. 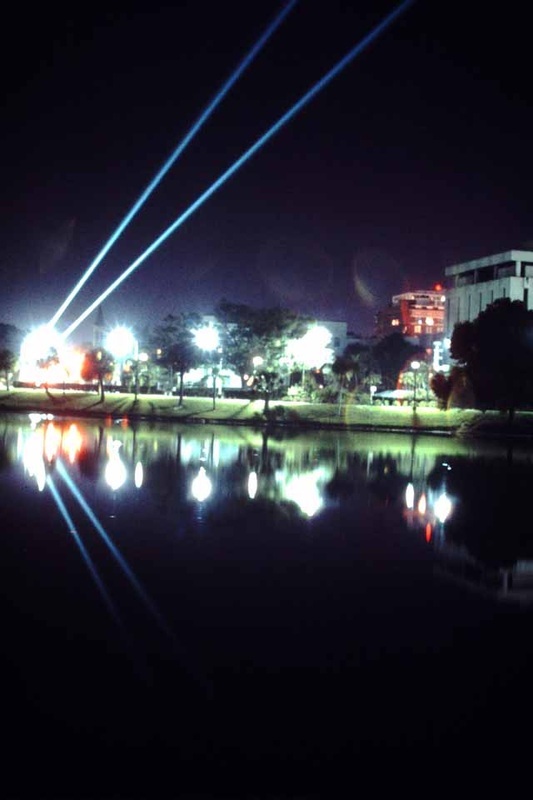 Lasers have been used most characteristically to create spectacular nocturnal displays, the pioneer in this field being the American artist, Rockne Krebs (1938-2011)." Chilvers, Ian (Editor). “Light Art,” A Dictionary of 20th Century Art, 1999. The Source, 1980. Washington, DC. Making It as An Artist. Sculptors’ Conference to Return to Washington. Editors. 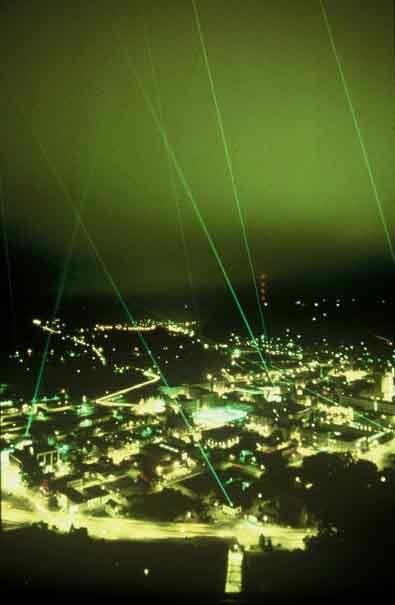 Optics & Photonics News, OPN, March 1996, Vol.7 No.3, After Image. "Rockne had that ability, to hold people spellbound. Huntsville, Alabama, he was just remarkable. 35mm slides and the power of his conviction." The Philadelphia Museum of Art, 1973. 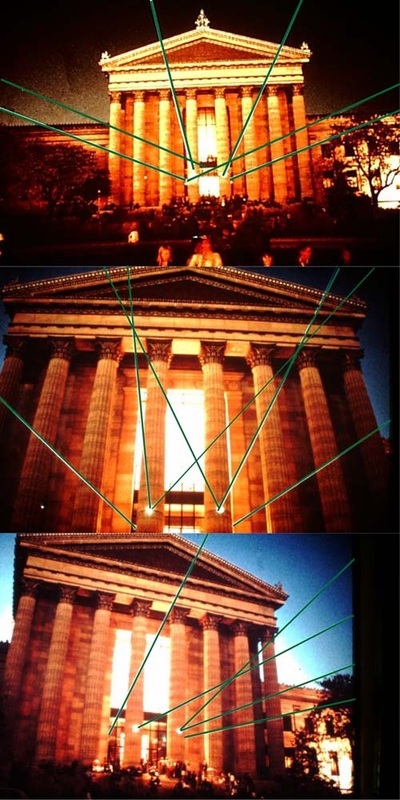 Documentation of a 1977 installation by laser artist Rockne Krebs was recently mistaken for documentation of a UFO landing. A Florida newspaper debunks the myth. 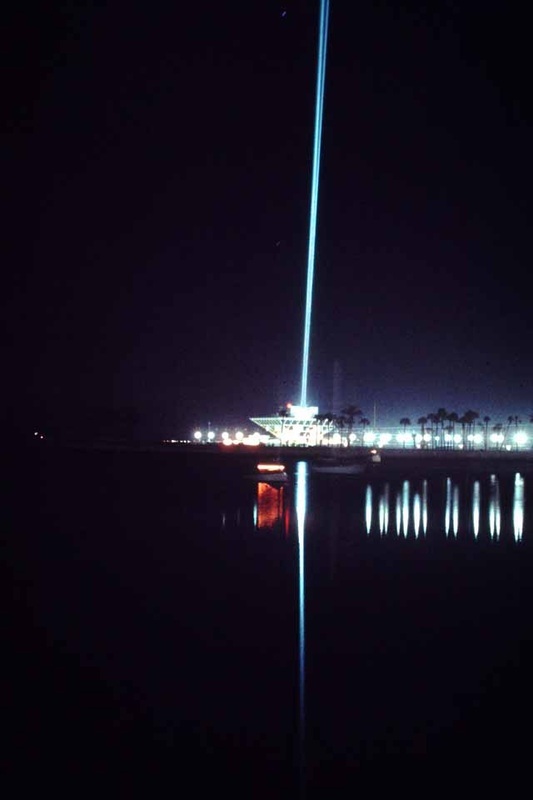 The Laser and Star Board Home on the Range, Part VI, St. Petersburg, FL. Slides were taken with long exposures at night; the effects have an ethereal quality. at the request of Mr. Jack Wrather. Rockne Krebs 8 Dec 78." 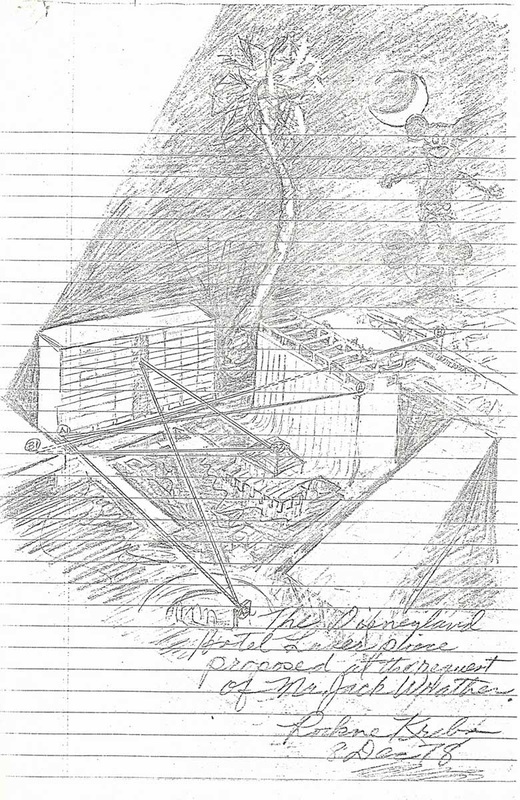 Sketch courtesy of Donald Ballard. *The Sixth National Sculpture Conference, 1970, catalogue, National Sculpture Center, the University of Kansas, Lawrence, KS. Edited by Elden C. Tefft, published 1971. Published transcript of Krebs’ lecture.